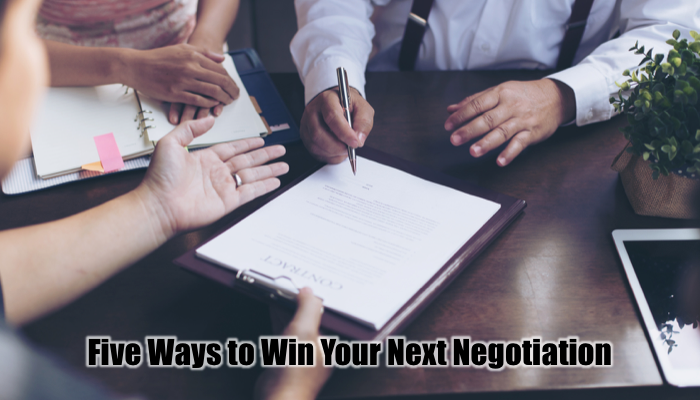 If your customer is better at negotiating than you are, they have the advantage. Consider this: how well trained is your customer in negotiating compared with how well trained you are? If there’s a gap in your skill and knowledge, you can’t negotiate the best deal for all concerned. You can’t naively assume they’re acting in your best interest. Years ago, I co-wrote Guerrilla Negotiating with Jay Conrad Levinson (Mr Guerrilla Marketing) and Orvel Ray Wilson to help business execs keep more margin by countering the tactics that customers routinely use. It’s the antidote to all of the dirty tricks they play. If you’re forced to take what you can get when up against a strong negotiator, you’ll get what they decide you’ll take. When you can walk away, you control what you can settle for. The best prepared party knowing about the other party’s situation is at a strong advantage to detecting bluffs and knowing where there is leverage. Without intel, you’re shooting in the dark. Whoever has the farthest out deadline, or can set a deadline for the other party, controls timing. No deadline, no deal. If either party doesn’t want to do the deal, it falls apart, sooner rather than later. The best test: would you both do this deal on a handshake? If the answer is no, it probably won’t hold up even with a contract. That said, written agreements are a must; for well meaning people with poor memories, and to communicate the deal to players that join in later. If you’re missing any of these five elements, you’re at a substantial disadvantage in any negotiation. Let’s have a conversation about growing your business through strategic planning, marketing plans, executive coaching, and customer acquisition systems. Find a mutually agreeable time at MarksSchedule.com.